Sometimes you might struggle to find a nice storage place to keep some items around the house and get more organized with the stuff, whereas other times you want to be assured of putting some precious treasure of yours at a place that no one can think of. These hidden kitchen storage spaces are the key to successfully combining households, incorporating traditional wedding gifts, trying to make the most out of a small kitchen, or streamlining the space you do have. 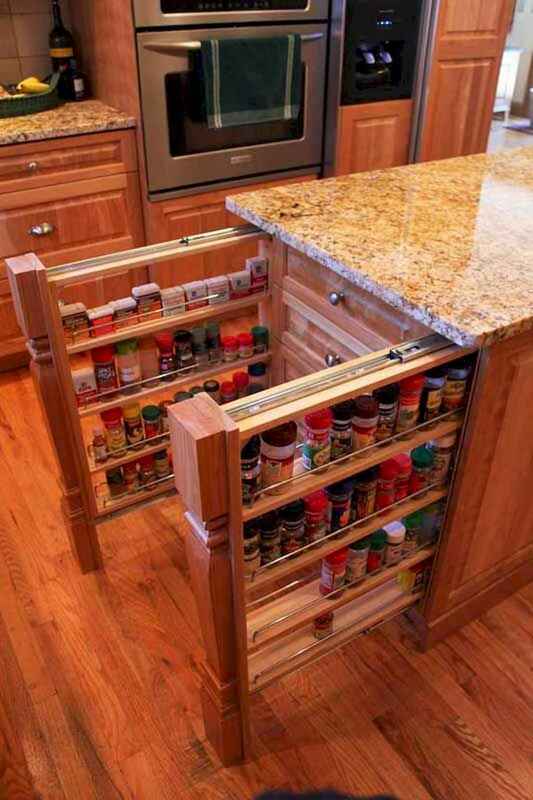 Here are 60 mind blowing hidden storage organization ideas making a clever use of maximizing space small kitchen storage.